Foot and ankle pain and sprains. Hip, wrist, elbow, pelvic and other fractures. Knee sprains, strains and other injuries. 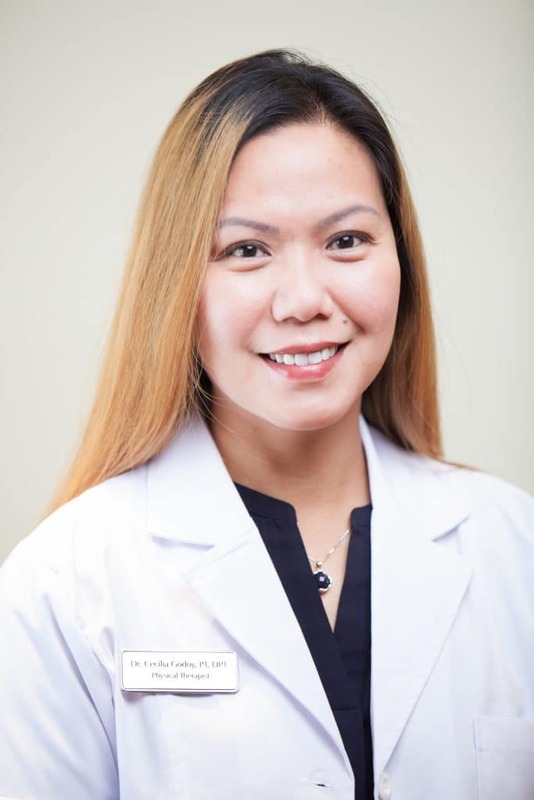 Dr. Godoy, an established physical therapist in California since 2003, is a master clinician, an efficient director and a sought after therapist. Instrumental in ushering patients attain their goal— gaining better mobility and function—-by alleviating pain, increasing range of motion, building strength and endurance with emphasis on quality of movement and performance. “Love, Dedication, Service ” she reflects the core values of a competent and caring healthcare professional. Focusing on an individualized program, she ministers to a variety of clients with a belief in service before self that exemplifies a work ethic of integrity and excellence.